What do you think happens to batteries when you throw them in the trash? Do they go to the landfill and just sit there forever? Do they decompose and create a healthy little pile of compost? Do furry little woodland creatures use them to make cozy homes? NO! Over time, battery casings corrode; leak their toxic chemicals, which then seep into our soil, water supply and oceans. They are definitely not friendly to our world – humans, animals, land, air or water. 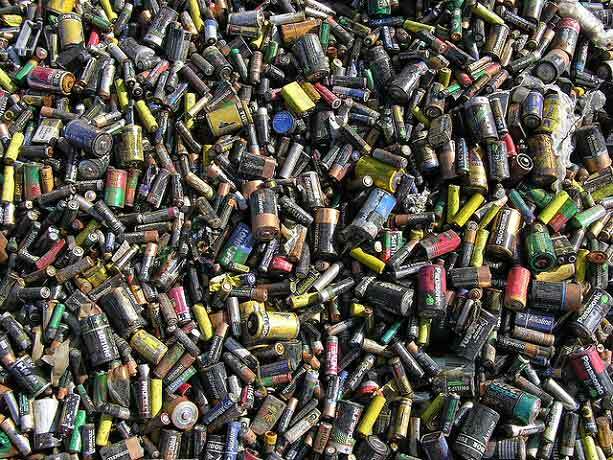 When you throw batteries in the trash and into landfills, you are introducing harmful chemicals into nature. These substances pose serious health issues to humans, animals and plants in a variety of ways. 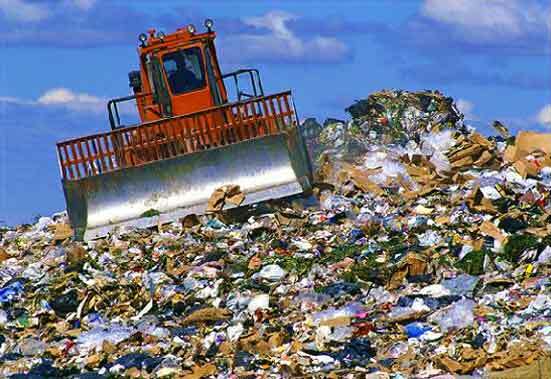 For one, like all other garbage, batteries undergo a photochemical reaction as they decompose, a reaction that releases gas emissions into the air, creating ozone, and contributing to a greenhouse effect. 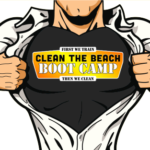 For another, the oceans and our water supply are not immune from these chemicals either. Chemicals seeping into the water supply are dangerous for the people who drink from it as well as deadly to the plants and animals who need that water. 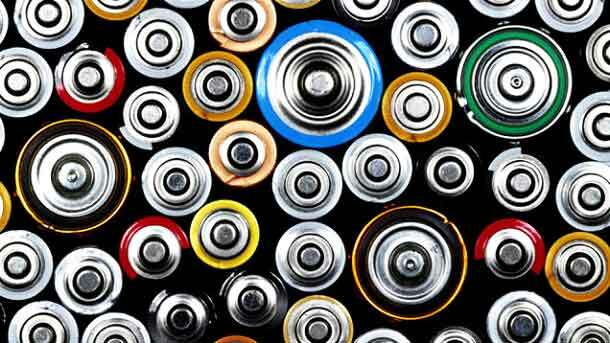 ⦁ Batteries are made from toxic chemicals such as acid, lead, nickel, lithium, cadmium, alkaline, mercury and nickel metal hydride. ⦁ More than 2,500 retailers, including The Home Depot, Radio Shack and Sears, provide battery recycling collection boxes at stores nationwide. 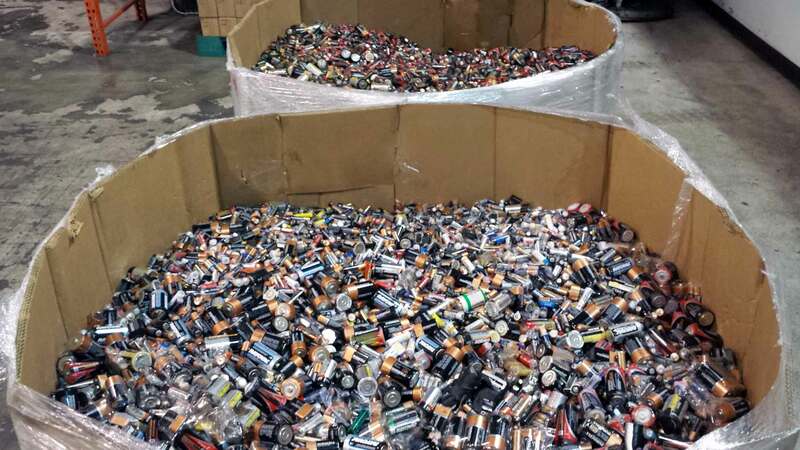 Last year, reports RBRC, nearly four and a half million pounds of rechargeable batteries were collected in the United States and Canada. But wait! 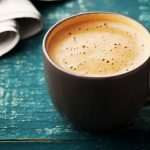 There is some good news in all this. These chemicals and metals used to make batteries don’t have to be all bad. Most of them are valuable, and if handled properly, can be reused in a new battery, and then disposed of safely when they have expended their last drop of energy. Additionally, many battery manufacturers have stopped using mercury, one of the worst chemicals, in their products. ⦁ Although newer household batteries are using less of the toxic chemicals, it is still best to recycle them. While you save up old batteries waiting for a trip to the recycling drop off point, keep them out of each of kids, and put tape over the ends to help prevent leakage. ⦁ Use rechargeable batteries. This reduces waste and energy needed to manufacture and transport new batteries, HOWEVER, these actually contain more toxic materials, so it’s essential these get recycled. ⦁ Return cell phone and computer batteries to the manufacturer or service provider’s store for recycling. There are a few places’ that can take your old batters for you and make sure they are sent to the correct recycling centre. If your talking about big Batteries for a Car or Motorbike you can take them to any reputable garage that will depose of the batteries accordingly for you. You should also note that Duracell have voluntarily eliminated all of the added mercury from their alkaline batteries since 1993, while maintaining the performance but Duracell are not very common in Thailand. But since 2015 alot of other companies have produced alkaline batteries that are composed primarily of common metals—steel, zinc, and manganese—and do not pose a health or environmental risk during normal use or disposal. When you need to get a new set of batteries choose the alkaline ones.